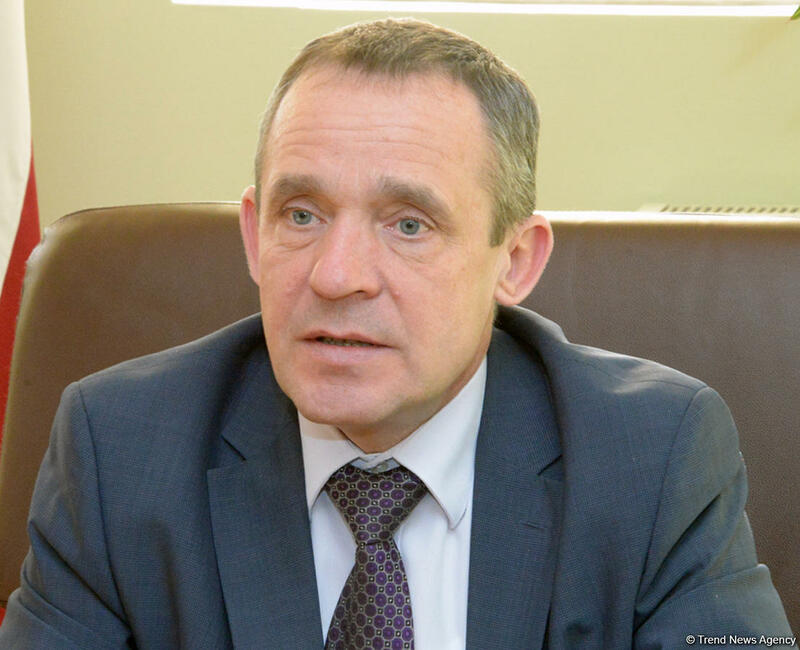 Many Latvian companies are interested in cooperation with Azerbaijan, Ambassador of Latvia to Azerbaijan Juris Maklakovs said in an interview with Trend. Noting that the Latvian pharmaceutical companies such as GRIDEX and OLAINFARM were represented in Azerbaijan, the ambassador said they are the largest companies in the country and they will expand their business in Azerbaijan if they receive good business proposals. The ambassador expressed his contentment for the opening of Azerbaijan Trade House in Riga, the Latvian capital, in July and noted that Latvia is currently working to open a similar business venture in Baku. Speaking about the priorities of the cooperation, the ambassador drew attention to the issues of trade and investment, education and science, culture and tourism, transport, information and communication technologies, agriculture, environmental protection and construction. Touching upon the investments, Maklakovs noted that Azerbaijan’s foreign direct investment in Latvia is $12 million, while Latvian foreign direct investment in Azerbaijan is $1 million. Diplomatic relations between Azerbaijan and Latvia were established in 1994. Trade relations are one of the main directions of bilateral cooperation between Azerbaijan and Latvia. Since last year there have been significant improvements in economic ties between Latvia and Azerbaijan. In January-October 2018, the trade turnover between the countries amounted to $19.45 million, of which $1.62 million accounted for exports from Azerbaijan. The Joint Declaration on the Establishment of a Strategic Partnership, signed between the two countries in 2017, has contributed to the ongoing political dialogue, the program of economic cooperation, as well as the interaction in the field of education and culture. Latvia appreciates Azerbaijan's role in a number of energy projects, including TAP and TANAP. Although the indicators on mutual trade turnover between Azerbaijan and Latvia are not high so far, progress achieved in this area can be noted in recent years. This year, Azerbaijan's Trade House was opened in Riga, Latvia, on July 23, aimed at promotion of the Made in Azerbaijan brand in the Latvian market, expansion of the export of Azerbaijani products, organization of sales in Latvia and work coordination in this field. At the time, Memorandums of Understanding on export of Azerbaijani products to Latvia were signed between Kaslar LLC and Bina Aqro LLC and Latvian companies. About 70 types of wine products produced by Azerbaijani companies, 26 varieties of cognac, 10 varieties of vodka, 26 types of tea, 23 types of fruit juices and compotes, more than 70 types of products, including vegetable oils, olives, hazelnuts, fruit and vegetable, textile and cosmetic products, industrial goods, tourism services are presented in the trade house. It should be noted that Latvian textile producers plan to create joint production in Azerbaijan in future to export their products to the CIS markets. Azerbaijan invested $ 164 mln to Latvia, while the latter invested $ 84 million in the economy of Azerbaijan so far. About 40 Latvian companies operate in construction, service, industry, communications, transport, trade, banking and insurance sectors of Azerbaijan.